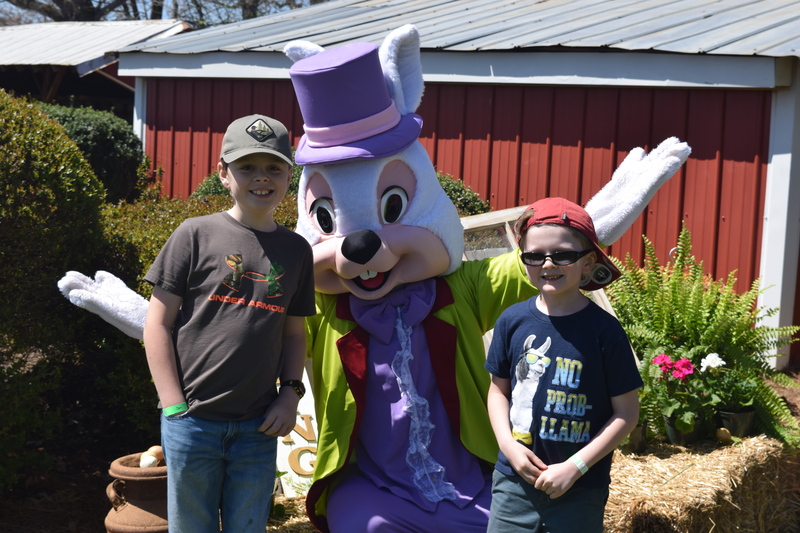 With the arrival of Easter weekend, there were tons of activities that surrounded us while visiting the Davidson area. After looking through the list of events, we decided on the Easter event at Patterson Farm. There was a small fee to get in, but tons of activities were offered for all ages. 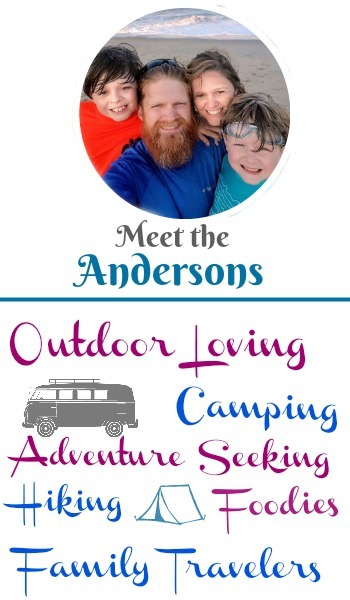 With visiting our daughter in the Davidson area this year, we were overwhelmed with the amount of activities that go on two weeks prior to Easter. The weekend before Easter was a rainy one, so that meant that Easter weekend we had to narrow our activities down to at least once place. After looking at all the options…and trust me when I say there was A LOT! We decided on Patterson Farm in Mooresville. The event had a small entry fee of $10 for hunters, and $7 for non-egg hunters. With the exception that 2 and under did get in free. Once inside, there isn’t a chance that the kids will run out of things to do. The first things the boys wanted to visit were the animals. There were several different animals that the kids could feed. Every child and adult received a cup of food for the animals at no additional charge which was nice. I admit that we were a little disappointed. One of the things that drew us to this event was the animals. I assumed it would be a petting zoo like area, which it wasn’t. Next time I’ll know to call before just to make sure. They had goats, sheep, peacocks, bunnies, chickens, etc. Once we left this area, the kids headed over to the cow ride. These are always a hit with the kids of all ages it seems. Since my boys have always been big enough to ride them alone, I never had the opportunity to ride until now. Our daughter is pregnant and not able to ride with one of her littles, so I jumped at the chance. I can definitely see why the kids enjoy these types of rides. Did someone say Easter Bunny? After the cow ride, we were able to catch the Easter Bunny for a few pictures. After the photo op with the bunny, the boys were off again to join the egg hunt. I loved how this part was laid out. There wasn’t a start/finish time. The kids went up to a booth where they received a paper that told them how many of each color of egg they needed to find. There were prize eggs throughout the day that were placed in the egg hunting area. Once the kids found all the eggs, they would go to the sorting area and turn them in. Once all their eggs had been turned in, they received a good bag full of little Easter goodies. They had a blast with the some of the Easter games that were placed throughout the farm. From “roping” to duck racing. Pappaw Carl’s Playground took the cake with my boys. They spent at least 2 hours playing and meeting new friends. They would have stayed longer if given the chance, but the day was coming to end. Even though the boys were disappointed with not being able to actually interact and pet the animals, they still enjoyed their day. This is definitely an event we would go back to if we lived in the area. • There is an admission fee of $10 for egg hunters, $7 for non-egg hunters, and 2 and under are free. • There are restrooms on site. • Almost all the activities are free with your admission fee. We only noticed maybe two things that you had to pay for. One was the pony rides, and the other was a mining I believe. • There are picnic tables available if you choose to pack your lunch. If not, there is food available on site.